Mold growth on products is a major problem facing many manufacturers, vendor suppliers, warehouses, wholesalers, distributors, and retailers. Millions of dollars are lost every year to mold growth. The problem is that products of organic nature such as clothes, leather products, wooden products and many others are subject to damp conditions while in transit from overseas manufacturers. The conditions during transit can cycle between hot and cold during the day and night respectively. During the day the high temperatures allow the air inside the container to absolve a lot of moisture from the sea and from the products and wooden pallets. As the temperature cools at night, this moisture condenses on the surface of the products. Since the products often take several weeks (typically six to eight) to reach their destination the long duration in transit and the cycling between hot humid conditions and cooler conditions provide an ideal environment for mold growth. Products may also develop mold at their destination if stored in damp warehouses. 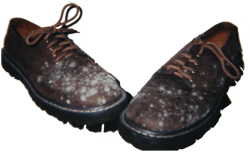 Although mold will grow on a wide range of products including wooden pallets; leather products, textile, food products and paper goods are especially prone to mold growth. This is because these materials not only readily absolve the moisture but they are also a ready source of nutrients for mold growth. The damp conditions in shipping containers generally favor the growth of those types of mold that do not require a lot of moisture to grow. These molds, referred to as xerophilic fungi, grow and thrive under conditions of low water activity (Aw). Depending on the material, a wide range of molds may grow. In our lab the most common types of molds we isolate from imported products, especially leather and textile products include Aspergillus restrictus, Aspergillus versicolor, Aspergillus sydowii, Eurotium herbariorum (Aspergillus glaucus), species of Penicillium and many others. On wooden products you may find species of Cladosporium, Aspergillus and Penicillium. 4. Faulty manufacturing processes that facilitate mold growth. 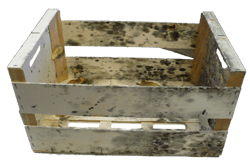 While some mold may be visible on a product, it does not necessarily mean that the product has been damaged. Most products can be cleaned and restored to original condition. Mold & Bacteria Consulting Laboratories (MBL) can help you in the risk assessment and mitigation process by definitively determining the type of mold responsible for the damage, supporting the formulation of a clean-up plan, and developing testing criteria to determine safe-for-sale. 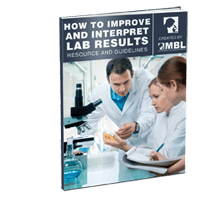 MBL has a team of microbiologists with expertise on testing biological contaminants on imported products, evaluating clean-up strategies and assessing the suitability of the cleaned product for sale.